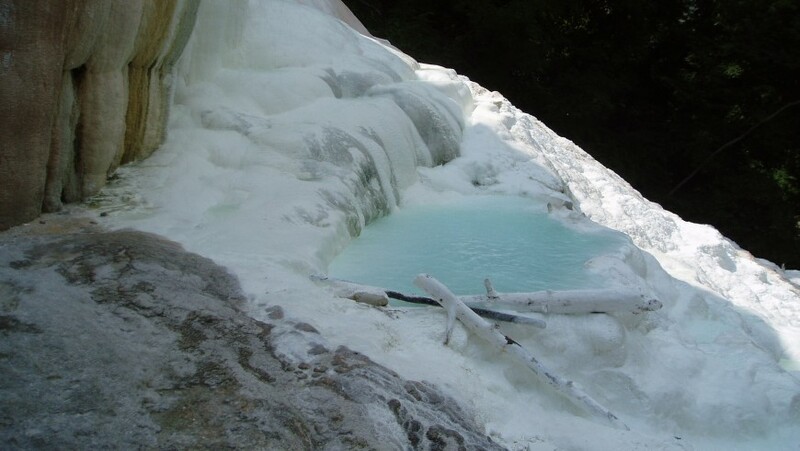 In the beautiful Tuscany, between the medieval villages and cities of art, hot sulfur waters, hidden in uncontaminated nature, will welcome you in 5 beautiful free thermal baths for a wellness holiday, between free pampering and the surrounding green. Not the usual packages of expensive spas, but the opportunity to regenerate body and soul in contact with nature, in a more eco-friendly and authentic holiday. 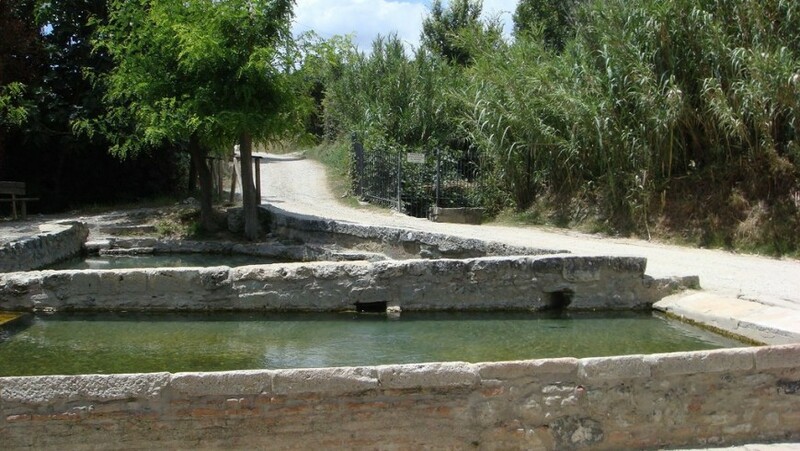 A few kilometers from Manciano, in the Maremma, are the famous natural limestone pools of Saturnia, a slice of heaven to reach by bike in a beautiful itinerary passing through the untouched nature, starting from Manciano, crossing the delightful village of Montemerano and immense vines. Where to stay: immersed in a 420-hectare estate where they grow olives, cereals and forage,and Maremma cows, boars and pigs are bred, the wonderful holiday home Le Macchie Alte awaits you with organic breakfast and swimming pool. 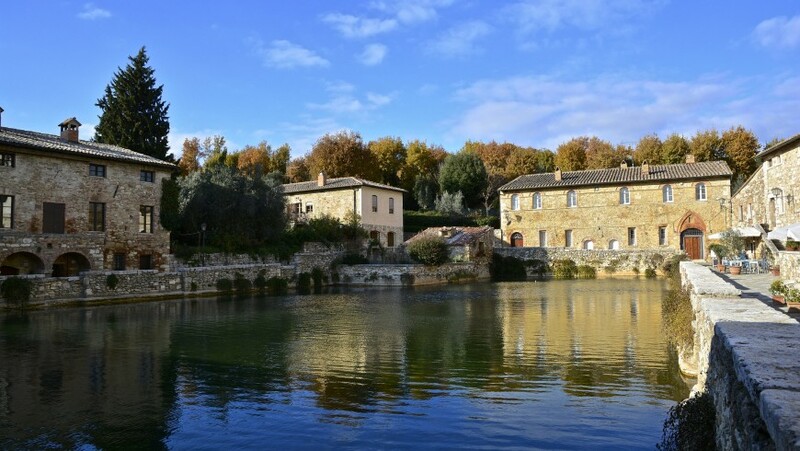 Immersed in a stunning setting between lush woods, hiding the free Petriolo, sulphurous waters that reach 43° C, right next to the beautiful Siena, and a short walk from the Natural Reserve of the Lower Merse where you can see the otter. They are one of the richest in sulfur thermal baths of Italy that make them perfect for the treatment of respiratory tract and the skin-beauty treatments. Near this oasis of peace there’s also the magic Abbey of San Galgano, a roofless building in Gothic style. Where to stay: discover the greenery of the hills of Siena staying in an independent apartment in a beautiful pet-friendly farmhouse between Siena, San Gimignano and Volterra. At the center of the village square. The very characteristic location of these free thermal baths make it an essential destination in Tuscany. We are in a small fraction of the beautiful San Quirico d’Orcia, along the Via Francigena. You can’ swim anymore in the pool around the small village develops but just take a few steps there’s a pool with the same thermal waters and where you can stop for a few hours of total relaxation. Where to stay: Tranquility, hospitality, friendliness and genuine food await you for a lovely holiday in a family atmosphere just a few steps from the thermal baths at the Farm house Bonello. 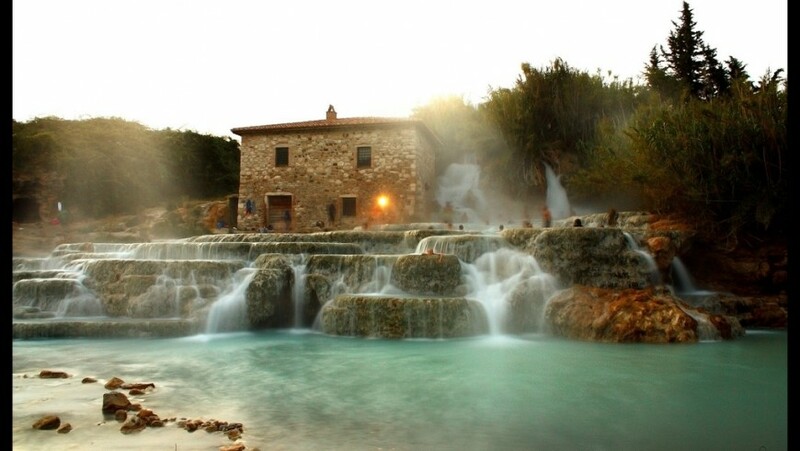 Staying in southern Tuscany, in the famous Val d’Orcia there are also the free thermal baths of S.Filippo. The brook Fosso Bianco, surrounded by a huge forest, creates small white pools where you can immerge yourself all year round and find peace. Getting here, through a suggestive walking trail, it is already wonderful and the waterfall will make everything memorable. To enrich your holiday you just have to explore the nearby Mount Amiata! Where to stay: the farm house Il Duchesco is located not far from the thermal baths of San Filippo, and here you can enjoy organic wine, excellent brandies, homemade jams and much more. 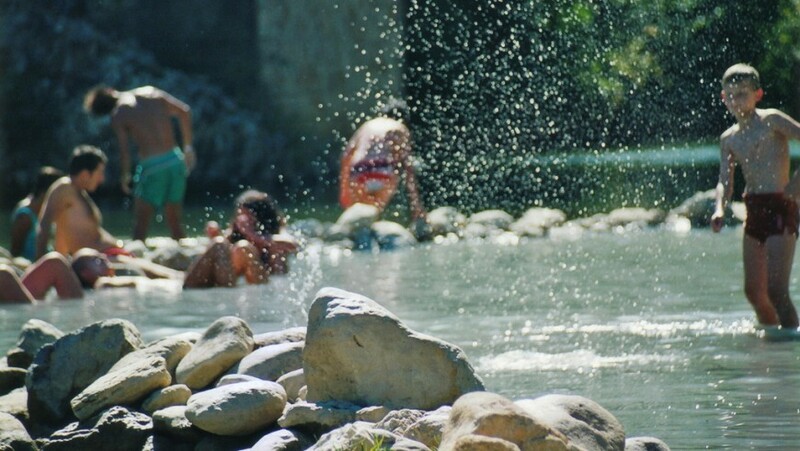 Near the border with Lazio and Umbria, at the foot of a hill, the free thermal baths of San Casciano are waiting for you. Known already at the time of the Romans, these waters have huge beneficial properties and they are nestled in an enchanted place, made of old wash tubs and stone pools, where water flows at 41° C. On the contrary of the most famous thermal baths, these remain unknown to most, ensuring unparalleled solitude and tranquility. Where to stay: at the Farm house Il Cornacchino, beside the 13 comfortable rooms, you can experience the farm camping surrounded by beautiful nature. What’s better than a few wellness days, immersed in warm waters of a natural thermal bath in a pristine setting, for free? This entry was posted in weekend and tagged free, free hot springs, free thermal baths, hot springs, nature, thermal baths, Tuscany. Bookmark the permalink.